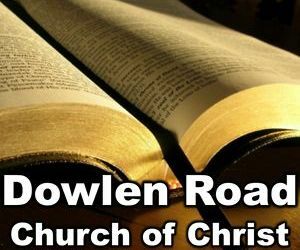 Southeast Texas Christians wake up today and find themselves in a new year. Many of us have made resolutions that we hope will help us become the people we would like to be – lose weight, quit smoking, strengthen family relationships, finish school. It’s funny. Southeast Texas Christian New Year’s resolutions don’t sound much different from anyone else’s. We do have an important tool to allow us to achieve them though – our Faith. Whatever your resolution, remember that it will be easier to achieve when you ask God for help and have Faith that he will provide the assistance we need. 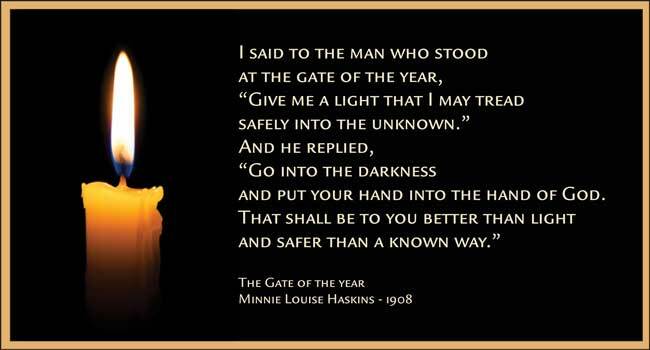 Over a hundred year’s ago Minnie Louise Haskin’s found an eloquent way to sum up the importance of making faith the cornerstone of our approach to each new year. Today her words are as valid as they were then. If you have a friend who is struggling with a particular resolution this year, feel free to share her advice with them. Would you like to share an instance in which your faith helped you achieve a significant New Year’s goal? 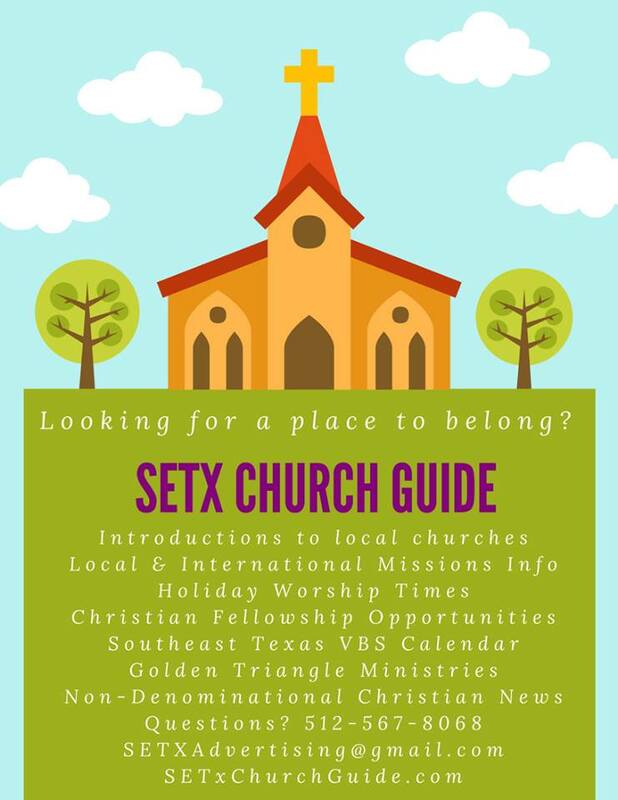 Share it with other Southeast Texas Christians by posting directly to our Setx Church Guide Facebook Page. 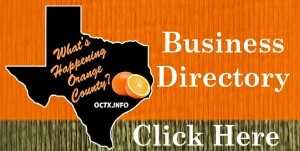 You may also e-mail your story to SetxChurchGuide@gmail.com. 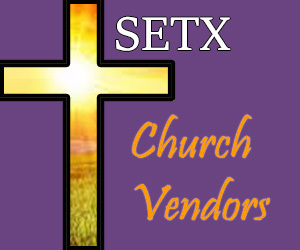 SETX Church Guide wishes each of our Southeast Texas Churches, congregations, and Christians a wonderful New Year. 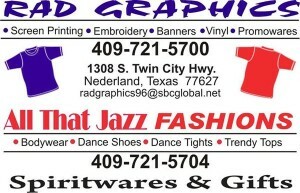 We hope you have enjoyed today’s Southeast Texas Christian New Year’s Inspiration.